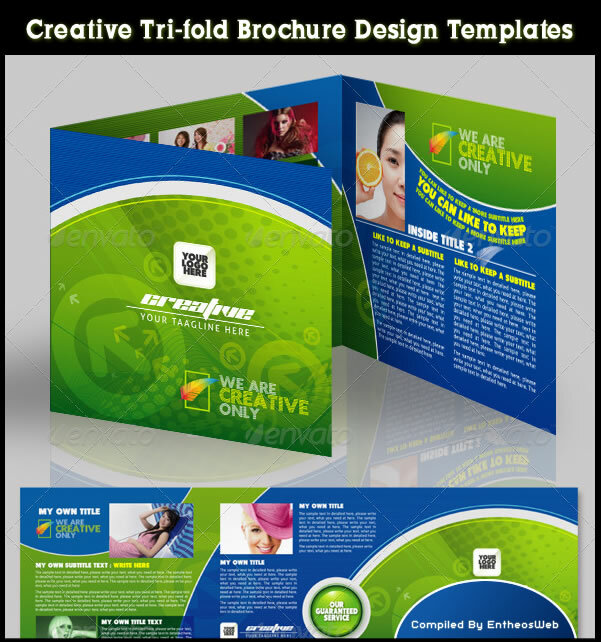 Download Free Bi-fold and Tri-fold Brochures - Professionally designed, customizable and editable. 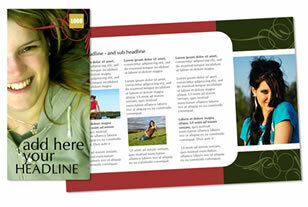 Make great-looking, quick and easy brochures! Download FREE brochure templates from Entheos! Great value and quality for FREE! Download FREE brochure templates from Entheos! Professionally designed, editable, customizable templates give you great-looking, quick and easy brochures that are ready to print. The templates are available in ready-to-print 300 dpi jpg and Corel Draw file formats. You can customize your template using Corel Draw software and print it in a commercial printing press or personal color printer - inkjet or laser printer. You can easily edit the royalty-free, high-resolution photos and graphics using photo editing and illustration software applications. Fonts can be changed and text easily modified. Colors are accurately defined, bleeds allowed and folds set up for high-quality printing. Would you like us to write brochure content for you? Or custom-design a brochure from scratch? 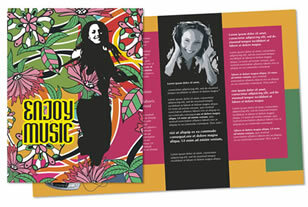 Fill in our brochure design and content-writing questionnaire and start the process!